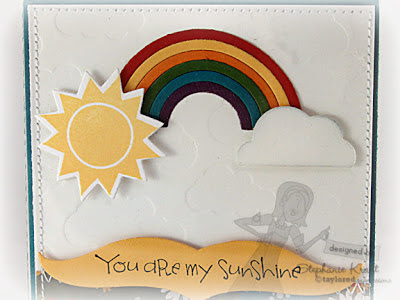 If you are looking for my Sparkle Creations release post, please scroll down. Thanks! Hello! Welcome to Taylored Expressions December Spotlight Day 2! Today the spotlight is on Nancy McKinney's Whimsical Wishes and Moka collections. 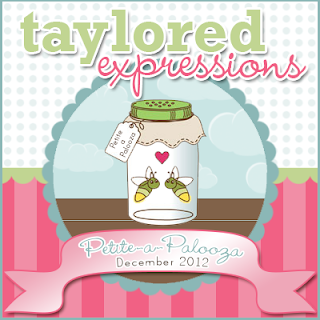 For the Petite-a-Palooza, Nancy released six new sets: Bonjour Couture, Love Bugs, Sunny Days, Wheely Great, Stargazer Lily Bouquet and Moka Nancy. I have a calendar page using Sunny Days. 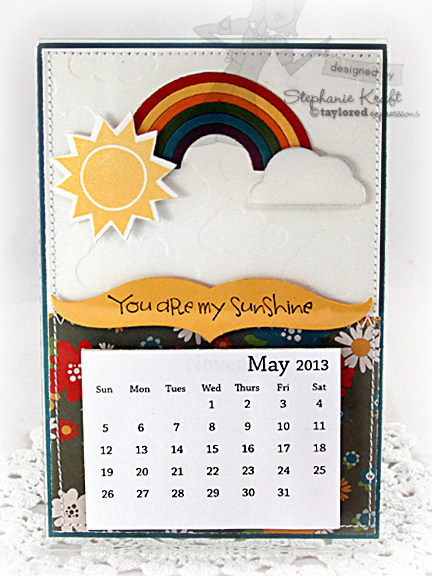 My samples use the Desktop Acrylic Calendar Base and Mini Tear-Off Calendar. You can find a single year of Tear-Offs, HERE or save by purchasing a 10-pack, HERE. After all, calendars make GREAT gifts! All TE Calendar products can be found in the store. Accessories: Taylored Dies: Sunny Days coordinating dies, Fly Your Flag 3, Clouds Impression Plate (Taylored Expressions), Foam tape, Thread, Sewing machine. Oh this is darling and really it's just the perfect image for one of these year-round calendars! Love it!